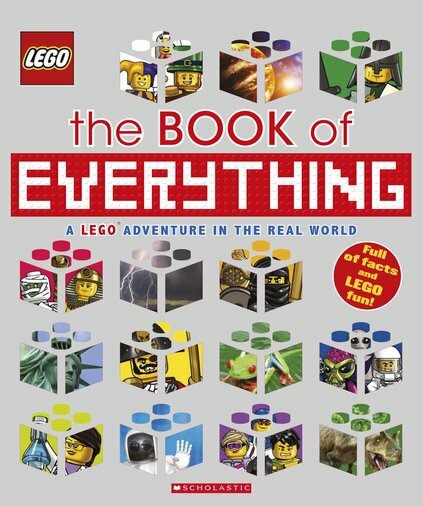 The newest book in the LEGO® Nonfiction line, “The Book of Everything”, takes on the biggest subject of all: our world and everything in it! There’s a whole world of information inside on almost every subject under the sun, from science to technology, from history to geography to popular culture. Each spread contains a LEGO® scene to facilitate the learning journey: a vignette, mini story, or icon featuring LEGO® models, characters, and sensibility. Graphic design combines the LEGO® illustration with real-world photography and facts for an immersive experience. ” The Book of Everything ” arrives just in time for the holiday season, and makes a fantastic gift for boys and girls of all ages!